Are you worried about your Facebook privacy settings? Do you already know the basics and want to know how to better protect your information on Facebook? Not to worry. We’re going to go through some of the advanced options Facebook provides in the ‘See More Settings’ tab. 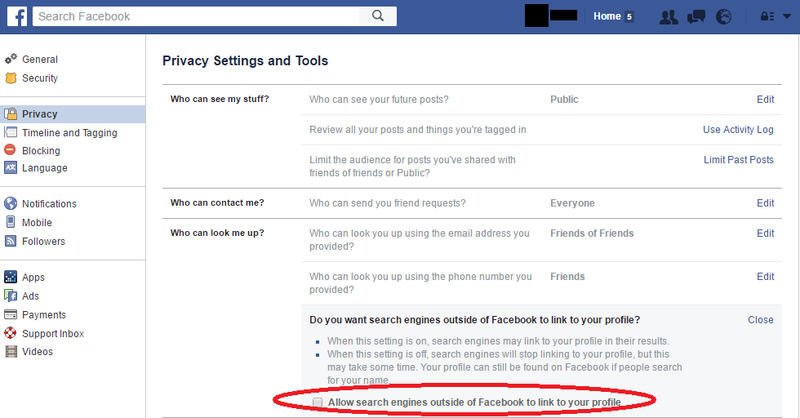 Have You Gone Over the Facebook Privacy Checkup Yet? If you haven’t, it’s probably a good idea that you do. 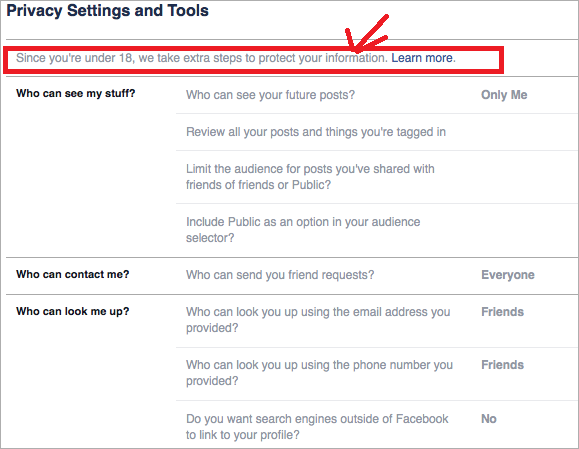 Click here to go over the Facebook Privacy Checkup step by step. 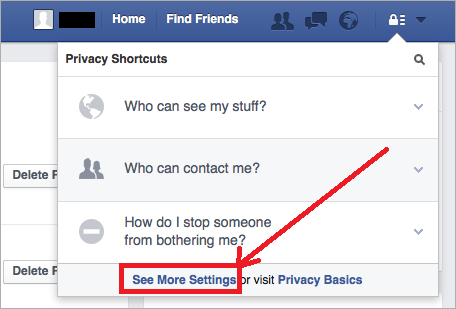 Where Is the Facebook’s ‘See More Settings’ Option? You can find the advanced options in Facebook’s Privacy Shortcuts. Simply click on the lock symbol in the top-right corner, then click ‘See More Settings’ on the bottom of the drop-down menu. 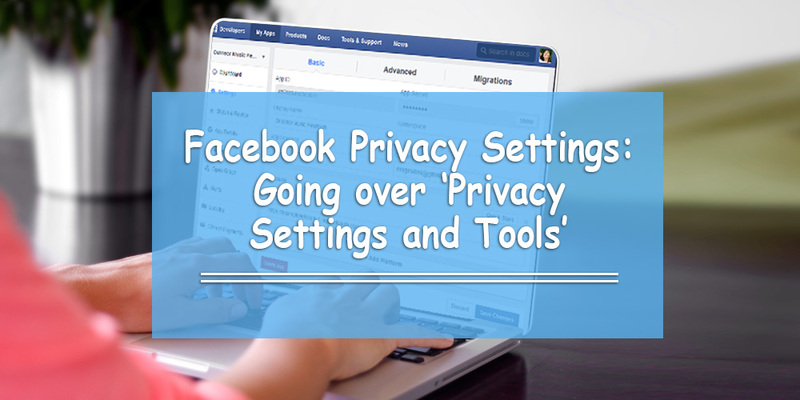 You are now in Facebook’s Privacy Settings and Tools section, which is the main page you see after you click on the ‘See More Settings’ option. If you are under 18, you will receive a special message from Facebook, as highlighted in the screenshot below. Who Can See Your Stuff on Facebook? You can use this to set a default option for who can new status updates and content in the future. Select from the options in the screenshot below. Note that this doesn’t work for Facebook posts you created in the past. You have to do that manually for each post. We show you how to do this in this article. This option is very special, but it’s not because you can review the posts you’re tagged in. You will see that there are filters on the left side of the screen. 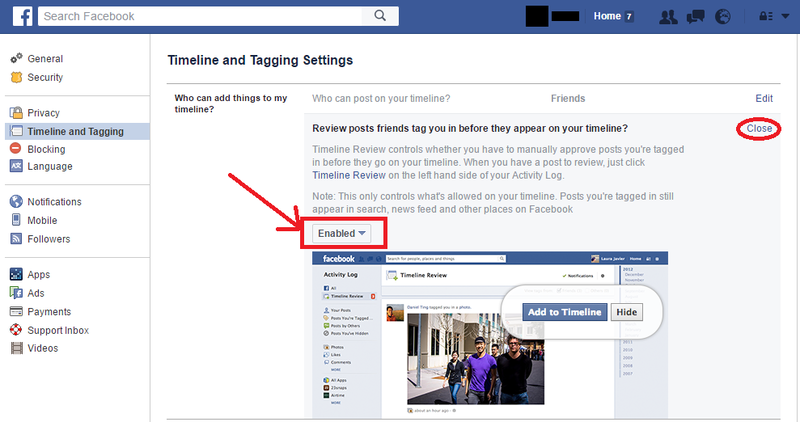 It basically gives you easy access to view anything you did on Facebook, or anything that people tagged you in. The ‘Timeline Review’ and the ‘Tag Review’ filters only work if you set them in a way where you can review the posts and tags before they go public. Note that this only controls what’s allowed on your timeline. Posts you’re tagged in can still appear elsewhere, like people’s newsfeeds and Facebook search. Did you ever post something to the public? Before everyone started using Facebook, there were options to allow your posts to be seen by the public and your Facebook friends’ friends. Those posts are still being shared right now. This tool lets you decide whether you would like those posts to continue being shared. Find out more about it in Facebook’s Help Center. 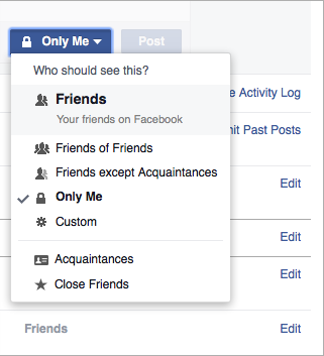 Did you know that you can decide who can send you friend requests on Facebook? 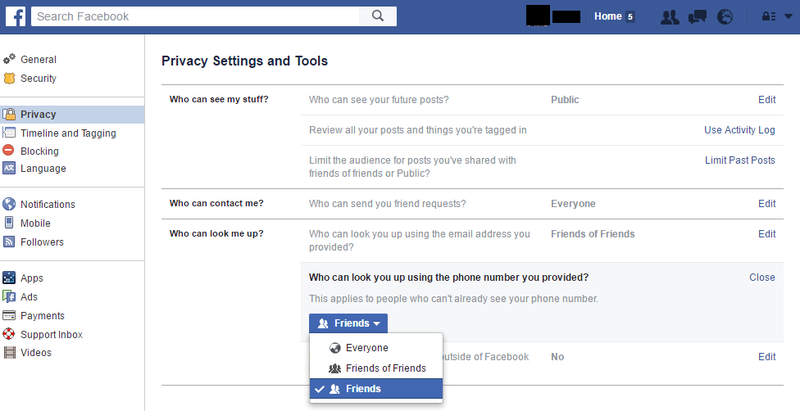 You can decide between whether you want anyone to add you, or only friends of friends can add you. To avoid spammers from adding you, we recommend that you choose the ‘Friends of Friends’ option. Chances are the person you want to add know someone you are friends with on Facebook. One of the most important ways you can prevent someone you don’t know from contacting you on Facebook is to make yourself unfindable. Let’s go through each one together. 1. Who can look you up using the email address you provided? To avoid hackers and other online criminals from finding your email, it’s important to make sure that only your friends can view your email. Make sure you select the ‘Friends’ option here. That way, no one else has get access to your email through Facebook. 2. Who can look you up using the phone number you provided? According to Facebook, “Adding your phone number to your Facebook account will help keep your account secure.” It might make it easier to regain access to your account if you forgot your password, but it definitely won’t stop online criminals from accessing your account if you don’t use the right privacy settings. To prevent strangers from getting access to your phone number, make sure you select the option, ‘Friends’ option. The third and final element determines how easy it is to contact you through the Internet. In one Google search, an online criminal could type in your name and get access to your Facebook account. If you don’t have the right privacy settings, they could get access to a lot of information. That’s why it’s extremely important to disallow search engines outside of Facebook to link to your profile. It decreases your chances of getting found online. Make sure the option found in the screen below does NOT have a checkmark in the box. Make sure you leave this section unchecked! Be sure to go through the Facebook privacy settings one more time to make sure they are to your liking. Also, check the other Facebook tabs on the left side of your screen… not just the ‘Privacy’ tab. As you saw in the ‘Timeline and Tagging’ section, there are things that relate to your Facebook privacy settings.